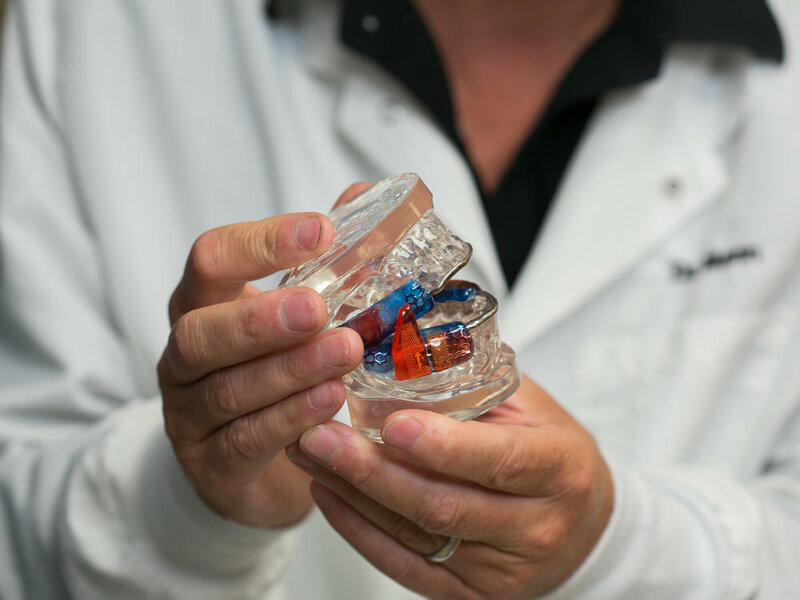 We treat sleep apnea with an FDA approved oral appliance customized to fit each patient. The device works by positioning the lower jaw forward during sleep, keeping the airway open. The device fits in the palm of your hand, requires no electricity, wires or tubes and is easily packed into luggage for travel. Not every person qualifies for Oral Appliance Therapy. That is why the decision must be made with a qualified physician, who reviews the home sleep test and makes a diagnosis. Oral Appliance Therapy is a good treatment option for many with Obstructive Sleep Apnea. While most patients are good candidates for an oral appliance we will test your airway using our Eccovision Acoustic Diagnostic Imaging system to be sure. We may also send you home with a Home Sleep Test. Once the results are reviewed by a physician will discuss treatment options with you. At our practice we work with the Respire line of oral appliances. These devices are manufactured to strict standards and are FDA cleared specifically to manage Sleep Apnea. Additionally, we use state-of-the-art acoustic imaging technology to ensure your jaw is held in precisely the correct position with the appliance. “at home appliance kits” and other bulky non-custom devices may claim to help with snoring but are not nearly as comfortable or successful as the appliances we use. CPAP is considered the "gold standard" for the management of sleep apnea. It stands for Continuous Positive Air Pressure which means that it pumps air through a hose into a nasal mask that is strapped to the patients head during sleep. Continuous pressure in the airway pushes the collapsible tissues out of the way and maintains and open/stable airway. CPAPs are highly effective at managing sleep apnea in a lab setting but many CPAP users are “non-compliant” within 6 months of beginning therapy. Some studies estimate that as many as 80% of CPAP users do not wear the device more than 4 hours per night. If you are not wearing the device as prescribed, you are not maximizing treating of the condition. Oral Appliance therapy is alternative to CPAP for Obstructive Sleep Apnea. Custom-fitted oral appliances are an FDA approved treatment for mild to moderate OSA and CPAP intolerant/non-compliant cases. 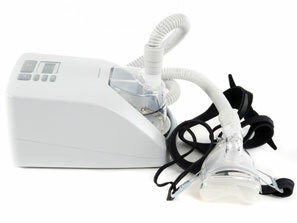 Our oral appliances are more comfortable and convenient, require no electricity, wires, hoses and do not make any noise.